Looking at the title you might think “are you kidding me”. I know this has boosted your confidence, and at the same time, it has created doubts and apprehensions too. Since you have less than 10 days to go for the exam, you need to wind up the syllabus and do a quick revision. Every year, lakhs of students prepare for JEE Advanced paper. This is perhaps the most important exam in the life of an engineer. Why so? 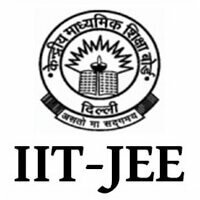 JEE Advanced opens the door of amazing career opportunities for the engineering students. That’s why all aspirant engineers give their 100% to ace the exam. Unfortunately, only a few are able to clear the exam. There can be various reasons behind it. The most common reason among them is the lack of the preparation for the exam. Don’t get me wrong. Every dedicated student gives their 100%, but they lack the proper guidance to channel their efforts in the right direction. Because of which, they miss a few important preparation tips; thus, leading to a disappointing result at the end. If you have attempted the Joint Entrance Examination Advanced earlier and have failed in it, there is no need to feel bad about it. There are many on the list. If you are reading this piece, today is your lucky day. You are going to get the best tips and tricks to crack JEE Advanced 2018. 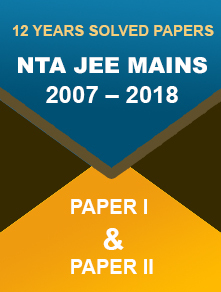 Below, we have stated a few tips/techniques which will definitely help you to clear the JEE Advanced exam 2018 with flying colours. After a deep research, our team of experts has a prepared a brief list of tips which will help you while preparing for the exam. So, without wasting any time, let’s get started. Maintain Your Focus: With time students tend to lose their focus while preparing for the exam. Honestly, you can’t afford to make this mistake. JEE Advanced demands 100% focus and determination from the student. Anything less than that will definitely guarantee your failure in the exam. Hence, focus plays an inevitable role in preparing for the exam. Go through Syllabus: While it is mandatory to finish the syllabus in the first place, test-takers can also study a lot of topics related to their subjects. Taking the JEE Advanced syllabus for granted might put you on the back foot. To avoid this experience, it is recommended to make a list of the topics that you need to study for the paper. Choose Only Supreme Study Material: Numerous cases have come to the fore where students had failed the paper because they studied from an inappropriate study material. Honestly, it is a very bad move on the part of the student. So, you should always pick-up the useful study material. Good Time Management: A candidate who can manage his/her time well can achieve incredibly. How can you do that? You need to make a strict study-schedule where you will allot specific time to study a particular topic. This will help you cover all the topics on time. 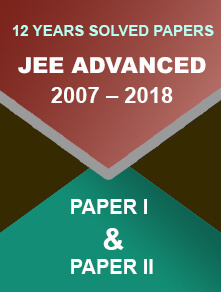 JEE Advanced 2018 is around the corner. Spending time wastefully will only result in scoring low. Follow these 4 important tips to ace your paper.